Delivery charge for bagged pallets in the local area is generally $35.00 per ton. 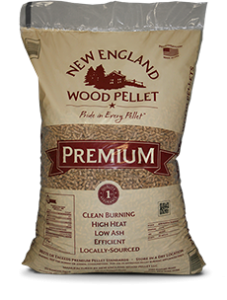 Wood Pellet/Corn Fuel Mix is available with :15-20% ,30-35%,50% and 80% corn. Mixed by weight, not volume. This ratio is for reference only. It is difficult to regulate the actual mix on a batch to batch basis. For more precise mixtures, we recommend purchasing unmixed product and mixing to your specification. Corn Fuel is for use in corn stoves or to be mixed with wood pellets for pellet stoves. Before burning corn in your pellet stove, please contact your stove manufacturer for recommended pellet/corn ratio. For the best service please call ahead to verify amounts over 1000#. We sell less than 1 ton quantities at the per lb. rate. Bulk delivery quote available upon request. 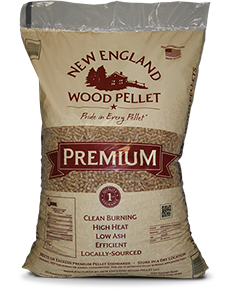 Our Premium Grade Wood Pellets are made by New England Wood Pellet LLC and come from their Jaffery, NH plant. Our Corn is grown and/or processed on our farm. Much of it was previously used for our Corn Maze. If you would like your link added, or if you know of any other interesting websites, please contact us and we will be happy to add it.